Intelligence Bureau IB ACIO Exam 2015 was conducted successfully on 22 Feb, 2015 at various exam centers across the country. 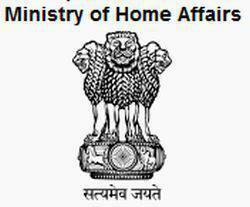 Ministry of Home Affairs MHA has conducted this exam for the recruitment of assistant central intelligence officer for secret agency of India – Intelligence Bureau. Every year, a large number of graduates appeared in this examination of IB Intelligence officer while on the other side, MHA conducted and organized this exam every year. IB Admit card 2015 was uploaded on its official website, candidates can check their details by logging into same the account as used during admit card download. There are millions of candidates who had appeared in IB ACIO Exam 2015 conducted this week and now all these candidates are waiting for the final solution of question paper or the IB paper answer key. Answer key is helpful to find the expected marks which would be much closer to the final results. Candidates can download their exam answer key / paper solution from the official website of ministry of home affairs www.mha.nic.in. There are two sections in IB written examination – first is objective paper while second section is descriptive. You can match your objective questions and answers using answer key available while there is no surety for descriptive paper. Both section must be clear to be eligible for interview or any further process of selection. There are 4 sets of question paper and the answer key will be available separately for each set of question paper of IB ACIO Exam 2015. There is no update from the exam authority but it is expected that IB Answer Key 2015, Cut-off marks and IB Paper solution will be available to download very soon. We will update this page when IB Answer key 2015 go online and available to download. Keep visiting this page and check the following procedure. 4.After downloading, open it to match questions attempted with answers given in the answer sheet. If you’re getting above 70% marks and you attempt descriptive paper with good written skills, then you should start the preparation of interview, because IB Intelligence officer interview is so much tough to qualify. Best of luck. Keep visiting freshersplus.com for more updates. Like us on facebook, follow at twitter for quick updates.